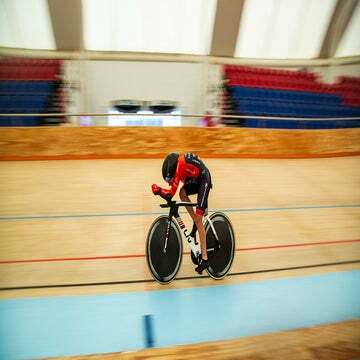 American Molly Shaffer Van Houweling took to the track in Aguascalientes, Mexico, just hours after Thomas Dekker‘s unsuccessful run at the men’s hour record, and set a new best mark for U.S. and Pan-American women, riding 45.637km on Wednesday. She characterized her December 15 tilt at the hour as “pretty miserable.” At the end of 2014, she rode 44.173km to set a new U.S. elite women’s record in Los Angeles. Nevertheless, Van Houweling traveled to Mexico for another attempt. Aiming to take advantage of high altitude and a track that was newly resurfaced for Dekker’s ride, she hoped to set a world masters record for the 40-44 age group and to extend her U.S. elite record. And that’s just what she did. Her ride was 1.464km better than her American record, set in December, and Van Houweling, 41, crushed the masters 40-44 world record — previously set by Briton Auriell Forrester in 1998 — by 4.926km. Van Houweling’s previous ride would have set the master’s world record, but UCI officials were not present to verify it. 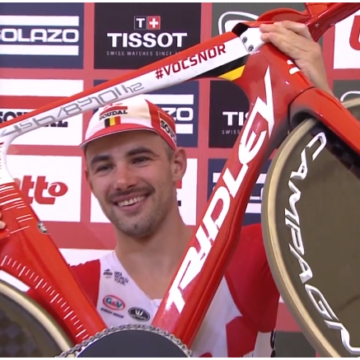 Van Houweling was just 428 meters shy of the 2003 world mark, which van Moorsel set on a traditional drop-bar bike, not a pursuit bike that the Californian rode on Wednesday. “I see room for improvement in my performance,” she wrote. 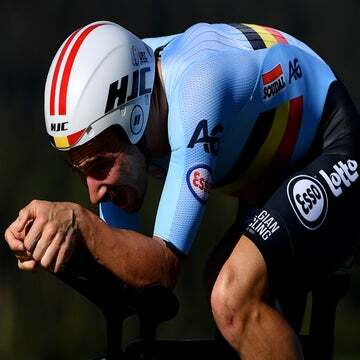 “As is so often the case in a time trial (and despite repeated warnings by my coach Dave Jordaan and other wise advisers), I wonder in retrospect whether I went out too hard. It’s so easy to diagnose that mistake when others make it — as Jack Bobridge seemed to in his recent failed attempt. But it’s still so difficult to resist doing the same thing yourself on race day! I was probably too far ahead of schedule for the first 20 minutes or so. I fell off the pace after that until picking it up and really emptying the tank in the last 10 minutes.